Hi Boys and Girls – yes, the incredible endless poster, with his equally endless posts, is back again. If you need to blame anybody, try Flipz as he made the mistake of complimenting me on a post and allowed as how I should try to contribute more. Silly man. He clearly doesn’t know what kind of narcissistic ego he’s dealing with here! The subject of today’s screed is the process I went through to buy my Volcano and my initial experiences with it. This is actually going to be a bit of blog as I intend to keep coming back and updating this thread with the results of my continuing experience with the Volcano. 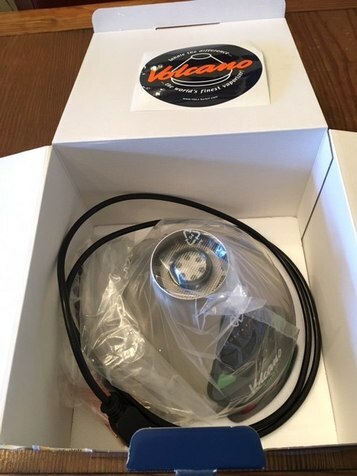 THE DEAL – I bought my Volcano via Vapor Nation, the retailer that Bud recommends in his review article. I looked around and could find what I wanted for a slightly better price, but some of these sources were eBay e-stores while other sources needed to be closely examined to see if it was an equal offering (e.g. found a source for the Digit that was about $100 cheaper…but it didn’t include any valve starter set which cost….wait for it, about $100). Also, different sources had different ‘freebees’, some of which I just didn’t care about, but all of this needs to be taken into consideration when evaluating price. So, I went to Vapor Nation last Saturday and found their website to be clear, professional, and they carried everything I wanted to buy. I did have a choice of free shipping (NOT free overnight shipping though) or a Volcano soft bag. I opted for the soft bag as shipping by UPS was about $37 and the bag was $59. I did mention in the notes section of my online order that The Vapor Critic site showed free overnight shipping if ordered via his link but that I didn’t see this on their site. I indicated that I was ok with the deal as it was, but if they could do anything to speed my shipment to me without further charges, that would be way cool. 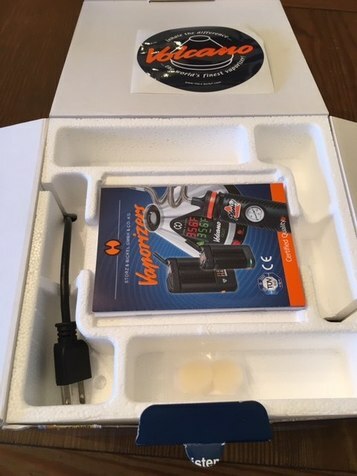 The first business day after I placed my order (Monday), I get a call from a nice chap at Vapor Nation telling me that they were going to ship overnight air at no additional costs. This was more than I expected and, quite frankly, more than I really deserved. Of course I accepted gratefully and I’ll let you in a little secret…stuff like this absolutely cements customer loyalty and I feel very favorable toward Vapor Nation and will buy from them as a first source, all else being equal or better. THE ORDER - I ordered a Digit for the additional money over an analog (the Classic) as I am very interested in zeroing in on temps versus effects vs taste vs efficiency, blah, blah, blah. Hey, I have no life and I get excited about this kind of stuff. So, I wanted to have a very accurate temp reading and controller which is what I have. For both the Digit and the Classic, the vaporization temperature range is adjustable between 104°F and 446°F (40°C and 230°C). For the Classic, the temp range is 266°F and 446°F (130°C and 230°C). Hard to see this as a significant difference. Likewise, temperature accuracy for the Digit is ±2,7°F (±1,5°C) while for the Classic its Temperature accuracy ±9°F (± 5°C). Again, hard to make a Federal case out of this. Bottom line, I like buttons and flashing LEDs so I ordered the Digit…that and the Digit should theoretically give me better precision in reproducing temp settings, but we are talking about vaping herb here, not a lunar space shot. I ordered it with the Easy Valve Starter Kit included. 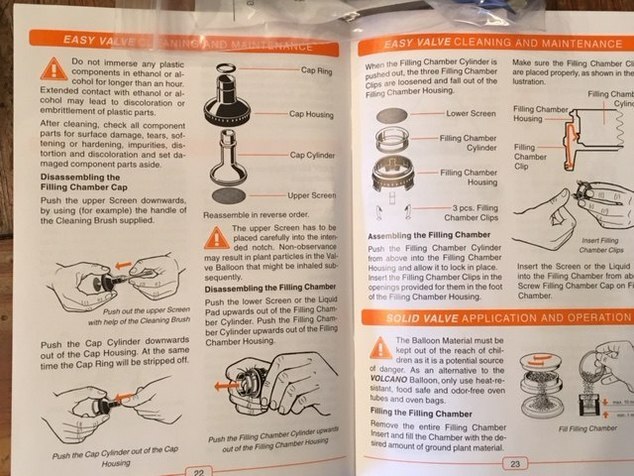 Although I can see myself making bags on a solid valve, and the solid valve seems like a real piece of machining and craft, the Easy Valve is, well…easy and I’m a beginner. I can always order a solid valve at a later date if I find the need. 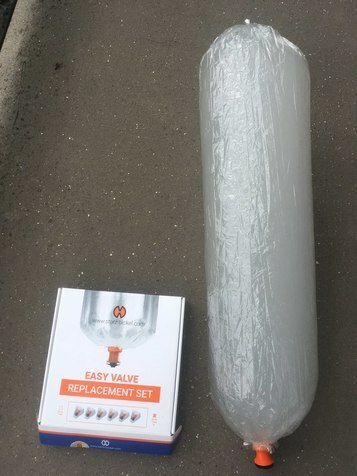 I also purchased an additional box of Easy Valve balloons (6 ea./box), Easy Valve Wear and Tear set for a whopping $12 (like a boy scout, always be prepared), and a set of fine screens (not sure what I need them for, but they were cheap and would probably cost more to ship than cost if I found a need for them later. Hey, anybody have any input on the fine screens and what to use them for?). THE SHIPMENT – My shipment arrived at 10:30 am eastern the next business day so I not only got overnight from Torrance, CA I also got AM delivery. Vapor Nation is awesome! Figure 6 - Manual is in real English and Everything! THE FIRST SESSION – You know I had to try it out right away. So this is the story of my first session. Yes, I burned off any residual chemicals (or tried to). I ran it at max temp for a full five minutes with the fan on and the chamber in place. I didn’t notice any chemical smell from the vape but it’s worth doing. I will note that after doing so the chamber was VERY hot to pick up. This temp/time is nothing that would be used during normal operation. I found that in the time needed to actually fill a bag the chamber did NOT get hot so all is well. I used .1 g of Blue Dream ground with a regular Santa Clara Shredder grinder (not the New Vape fine grinder but that’s on the list to try). That’s right…not 1 but ‘point 1’. 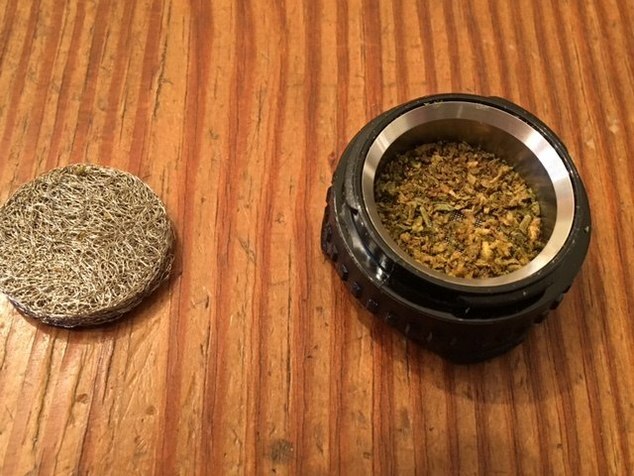 It’s even less product than it looks below and this herb was not quite fully dried for vaporization so there were some acknowledge challenges in this set up. In that I tend to vape by myself, I am very interested in small load performance. I did put the concentrate pad on top of the herb (as I know Bud advises for the Plenty, not sure if needed for Volcano whose chamber lies flat but it did work well). I started at 360 F for the first bag. Taste was ok…there was a bit of chemical taste, perhaps residue from the vape/valve manf or perhaps the new bag. Do others find the first vape in a new bag to have a bit of an odd taste? I did taste the pure herb flavor also but, to tell the truth, I fire for effect and while I like it to taste nice it could taste like horse pucky if it did the trick for me. Next two subsequent bags were at 380 F. Note below that the vapor is visible but not thick. I did make one more bag at 410 F and it definitely had something in it. Taste was different at that temp but not really burnt popcorn. More like French Roast compared to Jamaican Blue Mountain (talking coffee here). Just a more robust flavor. I tried a 5th bag at 410 but there was nothing there which should not surprise me as I really didn’t have very much weed in it to start with. AVB looked like this afterward. I think I’m very ok with this. Note that in this pic you can see how little product I vaped. THE RESULTS – Four bags from that little bit of weed got me baked (well, not roaring ripped but at least baked medium rare). One of the things I have been thinking about is comments in other posts here and elsewhere where folks talk about how “hard vaporizer X/Y/Z hits” and the like. I’m starting to feel that this is not the right mind set for me. I quit smoking for a reason. I want to vape for a reason. Why would I want to feel that “hard hitting” as if I was on a combustion bong or banging a Protopipe. I rather think that long time smokers like myself come to associate discomfort with effect. There is a tendency to think that if it makes my lungs burn and expand, if it makes me cough, if I get light headed from combustion toxins and lack of oxygen, then it must be good stuff. This is wrong thinking for me, I believe. Again, I fire primarily for effect and the question I need to focus on is the just that...what do I feel like at the end of the session. With that focus, I believe I’m going to love this thing. There does seem to be some slightly different characteristic of the immediate effect of vaping herb rather than smoking it, but I suspect this has to do with old habits and the association I just talked about above. 15 minutes after vaping it, it feels the same as if I smoked it (or close enough). The only difference is in the process and the immediate impact of smoking and that is something I have chosen to leave behind. OTHER CONSIDERATIONS - This is a beast of a machine and it’s a bit bulky and large for storage. It was actually larger than I thought. I’m single and can do what I want in my own home, but I still don’t like leaving this kind of stuff lying about all day. I do have a cabinet for it and other paraphernalia but size, storage, and visibility are reasonable factors for people to consider in light of their own situation. One other thing I notice is that this sucker must have one heck of a big heat sink it. This is very good for performance. A large heat sink would help an active heating element maintain stable temp throughout the session and that is exactly how my Digit seemed to work. With the Digit, when you turn it off but leave it plugged in, the display will continue to show actual temp as it cools down, switching off at 104 F, I believe. It took over an hour for this thing to cool down completely. Not a deal breaker, but this unit is not a ‘pull out-hit-throw back in the draw’ type device. I do see a Firefly 2 in my future. The other thing in my future really is a FF2 if the production quality proves out and people have good field experiences with it. Why….well, mainly for the issue I raised above about dragging it out, setting it up, etc. I like a bit of ritual with my marijuana smoking…always have. I come from way back in the day when we thought we were having spiritual experiences (instead of just getting ripped…which we were). Ritual was a part of it as it is with many things (think wine and the rituals around that….). But it’s a size and convenience are legitimate factors and if the FF2 proves out it looks like it will be the perfect complement to the Volcano. As for the internals of the Volcano, the heating element is an aluminium block wrapped in ceramic wool, and teamed with an industrial air pump, and a hepa air filter even the electronics are super high quality! Hi AJ - thanks for the link...didn't see that one during my research. Wow, I tend to not to think of aluminum when pondering resistance heating element sink but a review of its conduction and resistance characteristics tells me that S&B's engineers were right and I'm wrong (oh...what a surprise LOL). It is a great heat conductor (not as good as copper though) and I suppose cost and weight also dictate its use. Whatever the case, their engineers seemed to really know what they were doing. Very nice seeing the inside of this beast, really does look like superior construction and technique. Last night it was well dried dream ground fine with New Vape fine grinder. A bit more in the chamber but still far from full (maybe .15-.20). Did not use the pad. Worked wonderfully. Two bags at 380 and one at 420 then set it aside to see how it works when left in chamber for the next day. Just experimenting around. Now, based on an admittedly very small amount of data, it seemed that fine grind, partial load, and no pad works very well. 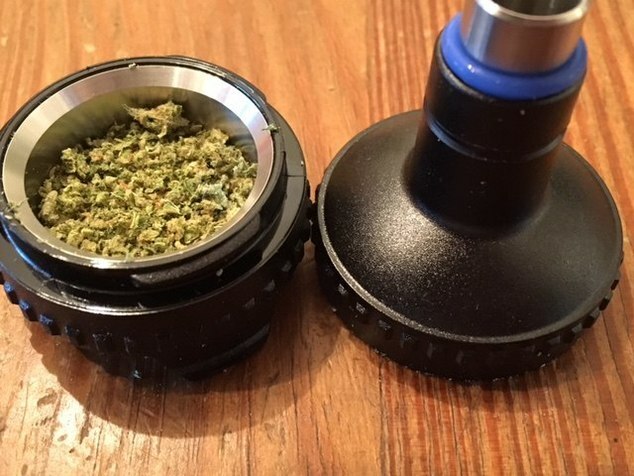 Partial load and and no pad should allow the air stream to ruffle the product within the chamber and reach all of the herb while fine grind certainly provides more surface area per gram of product than a coarser grind. Still exploring the envelope though. you're welcome for the video link, they also do the same with the Crafty the Firefly and the Pax2 all very cool videos! Aluminium heat exchangers and heating blocks are actually quite common! Took the partially vaped chamber I discussed in last post and put it back on the Volcano last night. Yes, splitting sessions on a chamber does actually work just fine. Its ability to work well with partial load, and being able to save a chamber for the next day or next session, has convinced me that the Volcano is fine for a single user application. Last night I vaped a different strain and could really taste the difference. Way more so that when smoking different strains as much of the subtleties of flavor and taste are obscured by combustion products when smoking. When vaping, however, the differences in taste pop right out. I vaped last night at 380F and had good results but think I can reduce the temp even more. I am generally leaning on vaping at the lowest reasonable temp then finishing off last bag with high temp (420 F) for those cannabanoids with higher boiling points. One of the reasons that higher temps seemed to be attractive to me is the denser visible vapor in the bag. However, I tried some advice which is to put the chamber on the heater, turn on the air, and don’t pop on the balloon valve until some visible vapor is seen coming out. This is to prevent dilution of your vapor with plain air in the first handful of seconds of filling. This actually seemed to work pretty well with just a few seconds delay in popping on the balloon and I believe I can get denser vapor at lower temps using this approach. I love the coolness of the vapor. My lungs LOVE IT. I haven’t tried the wax pad but will. However, I don’t see the Volcano as being a concentrate machine for me. My iStick box mod and Divine Tribe/Atmos Kiln works great but the vapor is pretty hot and hard on the lungs. But Divine Tribes does make a glass adapter for this atomizer and I will probably be adding a bubbler to that rig for coolness. I have a pocket digital scale but I don't think its accurate enough for 100's of a gram. If you really want to measure the difference between .13 and .18 g, then you really need a scale with precision down to milligrams. Good news is scales like this are readily available and reasonably cheap. When it arrives, I intend to use it to determine best payload weight for single vaping so its reproducible. I really think I can bring my volcano from 6 years ago outside and it'd survive a shot from a "mild caliber" rifle/pistol bullet. Sorry went off topic - hunting, shooting, firearms, etc... is also another hobby of mine. Have a good one. HI guys - I just wanted to say that I'm loving my Digit Volcano more and more each day! Its terrific, works exactly as expected, and I'm finding that with a bit of experience I'm not getting great vapor at reasonable temps. Currently been running at 375 but I bet I could cut 10 degrees off and not notice a difference. For a last bag, I bumped to 395 which was still ok. I have found that this vape works perfectly for a couple of bags today and then setting the chamber aside for a later session on another day. I vape mostly alone at night and this was a concern for me. I don't feel like I'm wasting any herb at all by splitting sessions nor does the herb get any off taste or flavor by letting it sit to a another day. One thing I have found is that a measured .2 grams is less than I thought LOL I got a really nice scale. Yeah, you can get lots of digital scales for a fraction of this $49 price, but if you really want to measure to the second decimal place (like .15 g) then you want a scale that measure to precision of three decimal places (like .157 g). Here's the scale I bought and I'm very happy with it. So with this new found accuracy, I'm thinking that .15 g is the minimum and it seems like .2 is a pretty sweet spot for smaller amounts. What I thought was about .15 was really .2 and that .15 will work but any less and it seems that the load won't really cover the screen. I will try .1 g and certainly .3 g but I'm getting great vapor from .2 g at 375 F with some Blue Dream. I suppose this is somewhat dependent on the grind you use (I grind fine with the New Vape grinder which I LOVE) and the strain you are vaping. But to really just cover the chamber screen, .2 seems to be about right. All in all, I'm ecstatic with this purchase and very grateful for all of the help and advise I received here. QUESTION: I do notice that if I vape a few bags, my throat seems to get a bit irritated. Just feels like a very dry throat (not dry mouth from the herb but dry throat from heat/no moisture??). I'm a former pack and a half a day of cowboy killers (Marlboro Reds) so I think I'm rather well prepared to vape but I have noticed a sore throat after vaping. Any suggestions? Ah...that's supposed to read "I'm finding that with a bit of experience I'm not NOW getting great vapor at reasonable temps. Why can't we edit our posts after a 1/2 hour? I'm super super glad that u love it! I know what u mean about the dry throat, that actually happens to me with most vapes, it seems vapor is definitely a "drier" substance than smoke, I don't even get this dry when smoking either. All i personally do to combat this is not go too high with the temp, upper 300's is the highest i'll go, and u might want to try a coarser grind with this vape, it's possible the fine grind is throwing off the balance of the vapor. Also just want to make sure, ur not leaving the vapor in the bag for longer than 5-10 mins right? Sorry about that if u ever need to edit ur posts and cant just let me know! Hi Bud - Thanks for replying to me!! Just yesterday, with some Mr. Nice Guy, I ran the Volcano at 365 and found it very satisfying so I am working my way down the temp scale a little bit to see if I can make the vapor just a bit less dry and irritating. And no, not leaving vapor in the bag really at all. Give it a minute after filling to cool down just a bit then I tend to vape the bag in pretty quick order. 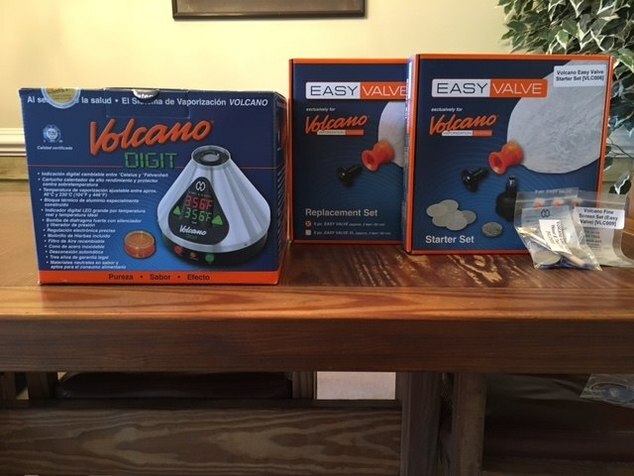 For all of those out there who find themselves struggling to have a good vaping experience with whatever appliance you are using.....get a Volcano and fogettaboutit. Its a wonderful device, both build and performance. Hey Are you still enjoying the Volcano after 2 years? Nice post on your first experiences.. I'm looking at volcano or Herbalizer. So, I have a bunch of vapes...bunches...too damn many really. But they are still get used. IMO, the Volcano has rock solid build and construction and accurate and repeatable performance. The real question is if you want a bag vape or not. If so, then Volcano all the way is my recommendation. I have a Digit and if I had to do it over again I would probably go for the analog with no shut off timer (get a bit buzzed and that hour timer seems to go pretty fast sometimes! haha). 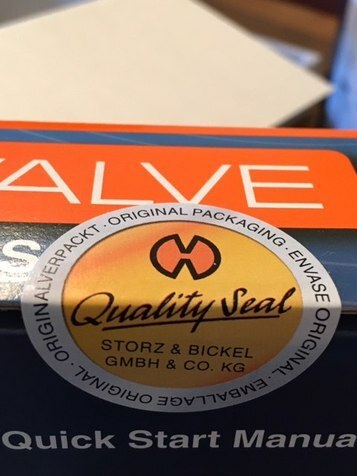 I do use Easy Valve and am glad and happy with that decision. I do not use the Volcano as a daily driver although it is of course robust enough for that and more. I do use it with company over and when I'm doing something like grilling some steaks and having a scotch on a Friday night.....then the bags are VERY convenient. Also, with company...I just find its more of a PIA to explain even simple vapes to non-vaporists but everybody easily grasps the idea of inhaling from a bag. Easy Peasy. Hand them a Milaana.....nah. 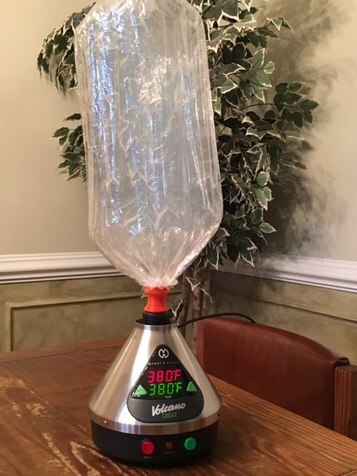 Volcano bag...heck yes. S&B has always provided very good CS to me. 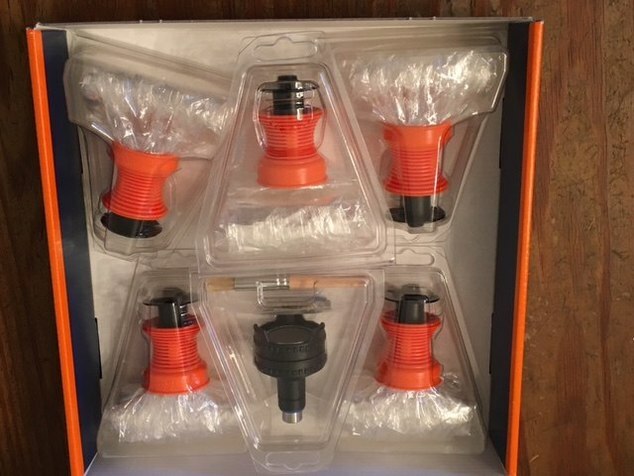 I have no had to use them often (hadn't had a vape of theirs break yet....but had some order and packing issues a couple of times and they cleaned it up immediately and fully). Nope, never used a Plenty. Sorry. My understanding of the Plenty is that its a real barn burner....a real cloud machine. You can get thick vapor with a Volcano, but you need to up the temp (maybe 410, like that) but my understanding is that thick vapor is "to the manor born" for a Plenty. Lol I'm not exactly sure of the meaning of your quote but I love the Plenty. Dense going down but very airy coming up.. I actually think i get "whiter" vapor with the Mighty but as some people describe it as "blue-ish" vapor with the Plenty. IMO more conduction in the mighty than plenty? W/e that is another topic but yea I just I'm almost sure I'm going with the Volcano over the Hebalizer... I only hear the Herbie holds better taste than the Volcano at higher temps (over 420 i think) but I rarely go 410 on the Mighty so I'm just wondering who vapes at over 430? Does the volcano not combust on max temp? Can I assume your material pretty spent at high temps? maybe blackish color avb? Na it's no worse than the mighty's AVB at 210c, probably even a bit lighter actually. Most of the goodness is obviously out at these temps but i still save it for oils/edibles/salves. Howdy Baron! I just recently purchased a Volcano Digit as well and am still “WOWED” by it.. I was just wondering what are your feelings about it now?? Do you still use it (as much)?? And more importantly; if you had to — would you purchase one again?? Hi - yes, I still use it but no...not as much. More often I reach for the EVO as its a very easy to use, heat up quickly, great extractor. And its a bit more efficient. But I do still use my Volcano. Great for vaping while cooking dinner or having folks over to the house. Two nights ago I made up a dosing capsule in a reduced chamber with an herb/concentrate sandwich and then ran the Cano at high temp. I get two thick bags from it and I'm a goner. The Cano is rock solid and has never given me a bit of trouble. Works consistently every time. Just found your excellent review. I finally broke down and purchased a Volcano (classic), just got it in yesterday and I'm am truly blown away! I wasn't expecting to be this impressed by the quality of the vape. Up until now I've been using an MFLB as my daily driver and it doesn't even come close to what the Volcano puts out. But for home use, the Volcano will be my go-to from now on. I have a number of vapes and my Volcano Digit has been languishing but I started recently using it again regularly. My state went med legal in Dec and in a bit of over enthusiasm I bought eighths everywhere of a lot of flower to try and see what I liked in our new market. I should bought grams as I now have some flower that I just wasn't crazy for. Not bad, just not crazy for it. So, in an effort to consume said "not great" flower I broke out my Cano and have been using it thus: .25 - .3 g in an easy valve, temp to 446, put the bag on after a five count from turning on the fan, and fill one completely milky bag that puts me away (I vape for nighttime pain and sedation so getting put away is kind of my thing). I will put a second bag but its wispy....but just to make sure, I do it. Not the most efficient way for flower consumption, perhaps, but wow does it work and work wonderfully. I get like ten thick milky hits from that first bag and I'm def medicated. I upgraded to these bags about 6 months ago and I love them. They where only £4 extra. This picture was using 0.3g in the chamber. Because it’s like two bags in one it seems like a better bag to me, because with the small bags the first one is always the flavour and the second is the thickest, but with these it’s like it’s all together in one bag. In all seriousness though, this could be good for your late night Volcano use case and to be a one and done solution and maybe increase the efficiency a little.